Pugs are wonder small breed dogs who bring lots of joy to their owners. However, they have very specific nutritional needs and are prone to being overweight. Choosing the right food for them is an essential part of weight management and vital to keeping them fit and well. But, with so many different options on the market it can be hard to know what it is the food to give them. Our panel of dog lovers and pet experts have put together this list of the best dog food for Pugs to help you make the right choice for your individual dog. 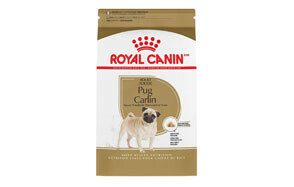 The Pug Adult dry dog food by Royal Canin is specifically created to meet the nutritional needs of pugs. It is a complete and balanced food that helps maintain a healthy weight for your Pug as well as containing all the vitamins and minerals they need to stay healthy and alert. It contains omega 3 fatty acids to support skin and coat health, and the perfect amount of protein to maintain your Pug’s muscle tone. 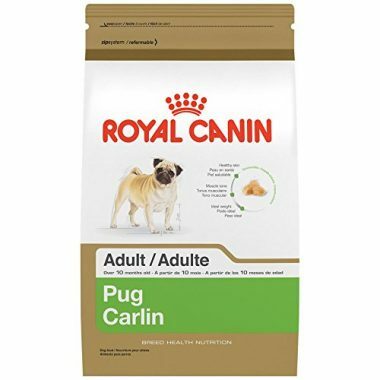 Royal Canin Pug food kibble is also specially designed to make it easier for your Pug to pick up and to encourage chewing and improve dental health. It is suitable for pure breed adult Pug’s over 10 months old. 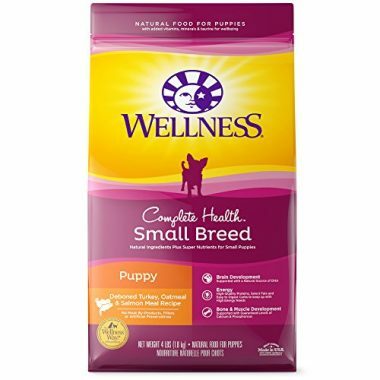 The Wellness Complete Health Natural Dry Small Breed Dog Food by Wellness Natural Pet Food is the best food for Pug puppies. The recipe contains only natural ingredients and is free from meat by-products, corn, wheat, and soy. It also does not contain any artificial flavors, preservatives, or colors. The kibble is created with smaller size pieces to make it easier for your Pug puppy to chew. The recipe provides complete and balanced nutrition and includes DHA to support healthy eye and brain development. It also contains easy to digest carbohydrates, providing the energy your Pug needs throughout the day, and is rich in antioxidants. 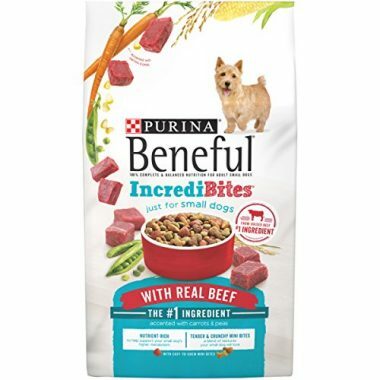 If you are looking for a food that is specifically designed to meet the higher metabolic needs of small breed dogs, such as Pugs, then IncrediBites by Purina Beneful is just what you are looking for. High quality meat protein is the main ingredient in this food, which also includes a range of vegetables to provide balanced and complete nutrition for your Pug. The nutrient rich kibble is created with a mix of crunchy and tender pieces to keep your pet pooch interested in their food, while encouraging chewing and good dental health. 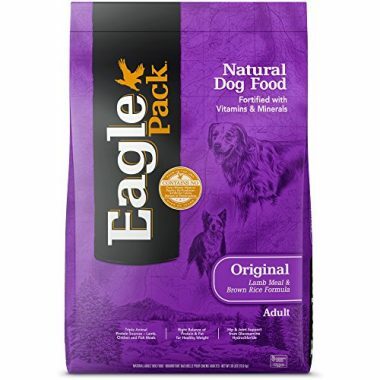 Eagle Pack Natural Dry Dog Food is made from high-quality natural ingredients and contains no meat by-products, wheat, or corn. It is also free from artificial colors, flavors, and preservatives. The food provides the right balance of proteins, carbohydrates, fats, omega fatty acids, and antioxidants that your Pug needs to stay fit and healthy. It contains whole grains and fiber to support healthy digestion and provide natural nutrients, while the fatty acids nourish your Pug’s skin and coat. 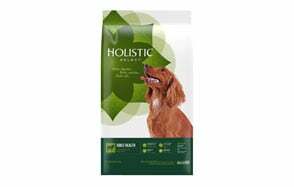 Antioxidants support your dog’s immune system while the quality protein ensures strong muscles. The food is suitable for dogs over the age of one. 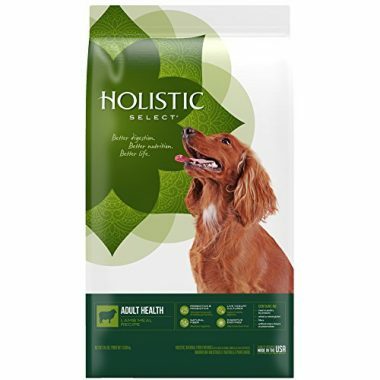 While not specifically designed for small dogs, the Natural Dry Dog Food by Holistic Select holds many benefits for your Pug. It offers a complete and balanced diet that contains high quality meats, fruits, and vegetables. It offers digestive support through its use of prebiotics, probiotics, digestive enzymes, and natural fibers. All the ingredients for this food come from natural sources and the main protein source is lamb. It contains no meat by-products, fillers, wheat, or wheat gluten. It is also free from artificial colors, flavors, and preservatives. As well as knowing the best foods that are available for your Pug, it is important to know more about their nutritional needs. In this section of the buying guide we explore the needs of both adult and puppy Pugs, the common health problems that you need to be aware of, and the ingredients that you should avoid feeding your Pug. Pugs are energetic, small breed dogs who love to play. They also love to eat, so it is important that their food is both balanced and filling to help stop them from overeating. Because Pugs are so energetic they also need a high protein diet that is balanced with complex carbohydrates for slow energy release. Your Pug’s diet should consist of at least 18% crude protein. 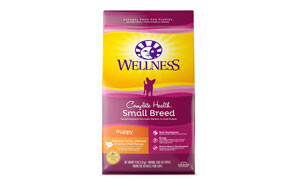 For puppies the crude protein content of their diet should be at least 22% to meet their needs as they grow and develop. When looking for the best dog food for pugs you need one that has quality animal protein as one of the main ingredients. If the food contains animal by-products, then this needs to be balanced with other protein sources such as fish. Ensure the food contains slow release complex carbohydrates that give your Pug energy throughout the day and that help avoid crashes and spikes in their blood sugar. However, with their limited ability to digest plant fiber, your Pug’s intake of carbohydrates and fiber should be no more than 5% of their diet. The best Pug food brand to choose is one that contains brown rice, sweet potato, or potatoes, as they are all good sources of carbohydrates. The most concentrated source of energy for your Pug and animal fats such as fish oils for dogs and chicken fat are the best sources. Crude fat should make up at least 5% of your adult pug’s diet and 8% of your puppy’s diet. Fatty acids are an essential part of any dog’s diet, but they are vital to the coat and skin health of Pugs. Fatty acids in Pug food help to maintain the moisture levels of their skin and stop it from drying out causing the hair to become brittle and shed more heavily than it would normally do. A fatal brain disease that is unique to Pugs, Pug Dog Encephalitis or PDE is a little understood condition. It currently has no test or treatment and is only diagnosed after death. The disease causes inflammation of the brain, leading to seizures, blindness, coma, and death. While little is known about the causes of the condition, experts believe that there is a genetic component. This means that it is important to check the family history of any Pug you are considering buying. Pugs are one of the breeds that are prone to idiopathic epilepsy. 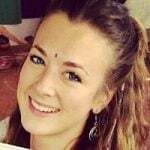 Such seizures happen for no known reason. If your Pug shows signs of seizures, then speak to your veterinarian who can discuss appropriate treatment with you. Nerve degeneration is most common in older Pugs. If your pet pooch is beginning to drag their rear, have trouble jumping on and off things, staggering, or showing signs of incontinence, then they may be suffering from nerve degeneration. The condition is generally though to be painless and advances slowly. Little is known about its causes, but veterinarians can often prescribe medication that alleviates the symptoms. As the front legs remain strong with this condition, one course of action is to buy a cart or dog wheelchair to aid your pug in getting around easier. Pugs are very susceptible to eye problems and injuries. The main reason for this is because their eyes are very prominent and large in comparison to their face. If injury occurs, it can lead to ulcers developing on the cornea. The main symptoms to look for are squinting, redness in the eye and excessive tearing. Corneal ulcers are treatable with medication from your veterinarian, however, if left untreated they can lead to blindness or eye rupture. Pugs often suffer from either pigmentary keratitis or keratoconjunctivitis sicca, and in some cases, they can occur together. Both can cause reduced tear production. When the eye does not produce enough tears to stay moist, it causes dry eye. Both conditions are treatable with the correct medication and care, but both also require lifelong therapy to stop them from returning. Pugs suffer from several eye conditions caused by the size and nature of their eyes. One of the problems associated with the bulging eyes of a pug is proptosis. This is where the eyeball becomes dislodged from the socket and the eyelid clamps behind it. Pugs are also susceptible to distichiasis, where the eyelashes grow abnormally and rub against the eye and entropion, where eyelid rolls inward. This causes the hair to rub against the eye and cause irritation; it usually occurs with the lower eyelid. Pugs can also suffer from progressive retinal atrophy. This is a degenerative disease of the retinal visual cells that leads to blindness. Pugs are extremely susceptible to allergies and this is one of the main reasons why their food must be chosen with care. Avoiding fillers, additives, and other ingredients that commonly cause reactions it the best way to prevent reaction. If you are unsure of the possible cause of an allergic reaction, speak to your veterinarian who can advise on the best way forward. This is a condition that is common in short nosed breeds, including Pugs. The severity of the condition depends on the number of vertebrae that affected and misshapen. Many dogs suffer no noticeable effects. At its more extreme end it can lead to paralysis. Treatment usually involves surgery. Commonly considered as a condition that affects large breeds, hip dysplasia can also affect pugs. Diet and environment play a role in the onset of the condition, as does your Pug’s weight. This condition mainly affects toy or small breed dogs, such as Pugs. It causes the blood supply to the head of the femur to decrease and causes degeneration of the head. It is usually noticeable in puppies around 4 to 6 months of age. Its main symptoms include limping and leg muscle atrophy. It can be treated through surgery. Of course, vaccinations are an important part of your dog’s wellness routine, but Pugs are more susceptible to reactions than other breeds. Usually these reactions are minor and include soreness, facial swelling, hives, and lethargy. However, the reactions can be more severe, so it is important to watch your dog carefully after they have been vaccinated and to contact your veterinarian if you notice anything unusual. When it comes to foods to avoid, you need to take the same precautions as you would with any dog. Onions, chocolate, grapes, and raisons are among the foods that no dog should ever be given. However, there are also certain ingredients, present in dry dog food, that should also be avoided for the health and welfare of your Pug. One of the key ingredients to avoid in Pug food is fillers. If the food has a high cereal or soya content, then not only is it likely to be of inferior quality, but it puts your dog’s digestive health at risk. Cereals ferment I the gut and can cause an increase in problems with flatulence. Animal by-products should be avoided, especially if they are the main ingredient. They provide very little in the way of quality protein for your pet. Wheat and other sources of gluten should be avoided if your Pug has sensitivities or suffers from allergies. While not a general problem, gluten can be a main cause of allergies in dogs with sensitivities. Q: What’s the recommended calorie intake for my pug? A: The recommended calorie intake for an adult Pug is 40 calories per pound of body weight. However, you need to take into account your dog’s fitness, activity level, and individual metabolism. If your dog is already overweight, then they need fewer calories, if they are extremely active, then they may require more. Experts suggest that this amount can be varied by 30% to suit your individual dog. Pug puppies require around 50 calories per pound of body weight, with the same 30% variation depending on your individual dog. It is also important to remember, with both adult and puppy Pugs, that these calories should come from a high-quality source. Q: How often should I feed my Pug? A: Up until around three months of age, it is ok to free feed your pug high-quality pug puppy food. After this it is important to structure meal times and make them part of your dog’s general routine. Not only will this help with their general behavior, but it also makes monitoring their food intake and maintaining them at a healthy weight that bit easier. Between 3 and 6 months Pugs should be feed three times a day. This can be reduced to twice a day at 6 months and remain at this level for the majority of your Pug’s adult life. Some owners feed smaller, more regular meals to senior dogs to help them with energy levels and digestion. This is suitable, as long as the overall amount of food does not increase beyond what it suitable. Q: How much food should I feed my Pug? A: If you are feeding your Pug one of the best dry dog foods for Pugs, then start with the manufacturers guidance on the amount you should feed them. This is important because every food is different. Check the feeding amounts for your size and weight of dog but take into consideration the recommended calorie intake for Pugs. As a general rule, it is recommended that puppies from 3 months have the equivalent of one cup of food spread over their three meals. Adolescents require slightly more and should have 1 ½ cups split between two meals, while an active adult requires one cup a day across two meals. Seniors generally need 1/3 cup at each meal. Q: Is my Pug overweight? A: The breed standard, set by the American Kennel Club, states that the ideal weight for an adult Pug is between 14 and 18 pounds. The weight standard is currently the same for males and females. Of course, most dogs fall somewhere just outside of the breed standard and their ideal weight is determined as much by their individual shape and size as it is by breed expectations. The best way to determine whether your Pug is overweight is to visit your veterinarian. However, if your male Pug weighs more than 22 pounds, or your female is more than 19 pounds, then they are overweight. If you can feel a thick layer of fat over the ribcage and it prevents you from feeling the bones, then this is an indication your dog is overweight. Similarly, if they are beginning to struggle with their mobility, their breathing is more labored than normal, or a friend points out that your dog looks heavier, then weight is becoming an issue.